At the age of 22 Lorna competed in a scholarship competition held by the Opera Division of New World School of Arts in Miami, Florida. Despite the fact that she had only been training for a few months with opera coach, Oscar Diaz, she won the full vocal scholarship landing her in the midst of professional working teachers such as Joy Davidson, Lisa Braden and Maestro William Anthony Waters, Orchestra Director for the Guzman Center for the Performing Arts, just to name a few. During that time, Lorna met Dj Fluid and with his musical talent and her lyrical melodic writing, together they took on the Miami dance music scene. Ying Yang Records produced her first single, a remake of “Ring My Bell” by Anita Ward, in French, stirring up the dance scene and giving her lots of exposure. Lorna’s second hit single “Craving Your Love,” with the help of Power 96’s Eddie Mix, landed her in the top 5 for over 10 weeks. She received rave reviews from David Hayslett in DMA (Dance Music Authority) Magazine. She was then signed by Warlock Records, a subsidiary company of Warner Bros. Outgrowing the label, both producer and Lorna moved on to develop their own company, Canary Creations. 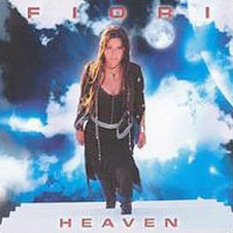 In 1998 she wrote and co-produced “If I“ under the name Fiori. It landed her on the door step of Artemis Records and 24/7. In 2002, her single, “Take Me Where You Are,” from her album Heaven, solidified her as a permanent fixture in the trance/dance scene. Lorna’s powerful voice soared over the trance/dance craze in Miami and in other areas, including California, New York, Chicago and Orlando. In 2007, after a much needed two-year break, Lorna collaborated on three songs with up and coming producer, Jian Pierre-Louis. His hypnotic jazz/electronic R&B vibe and her contrasting lyrical melodic undertones makes this a unique paring of complete harmony. Lorna has also assembled a Miami dream team, which includes Adela Del Rio, former Marketing Coordinator at MTV Networks, Road Manager Souleristic, and the promotional team of Silvia and Scott Laken. Lorna’s upcoming album is an electronic soulful sound, incorporating R&B and Lorna’s classical vocals, a rare musical taster’s palette. The storybook album is a collaboration of several producers, resulting in a powerful musical story, which will surely once again strike a chord with her fans and critics alike. Lorna’s artistic approach to music and her spirituality play a major role in the creation of all her songs. Her seven octave range and versatility to move from classical to modern vocals within the same song is nothing short of awe-inspiring. Watching her perform, one can feel the music passing through you like a spirit.